It is often noted that the carpenter approaches any problem as a nail, so he takes out his hammer to hit it. 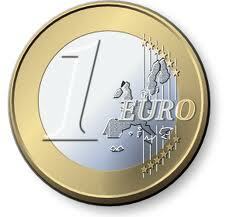 So here comes my description of the Euro crisis, and its solution. As I do stochastic analysis these days, I bring my toolkit, Brownian motions and all. As any mother chasing her two-year-old around the airport knows, a path of a stochastic process can be erratic, with lots of surprises. So it is with economic variables. Any sequence of numbers, be they stock market prices, temperatures at noon, or the course of the Gross Domestic Product of Greece, if they contain uncertainty about what the next number will be, is a stochastic process. These processes come in a variety of flavors, with arcane names to the uninitiated, like geometric Brownian motions, Ornstein–Uhlenbeck processes, and Lévy processes. The best researchers make fundamental arguments why any named process, or others of their own design, describes a natural phenomenon; the others just take one ‘off the shelf’ and say, ‘It fits.’ One can characterize processes in many ways, but one important one is the distinction between ‘stationary’ and — you guessed it — ‘non-stationary’ processes. In the former, no matter where in the sequence of numbers over time you look, you cannot distinguish one period of time from another. In the latter, you can. Well, the overwhelming evidence is that almost all economic processes are non-stationary. A few, however, are stationary, among them the aforementioned Ornstein–Uhlenbeck and Lévy processes. The former are known as ‘mean-reverting,’ a term suggestive that the processes are self-correcting, that if they move to extreme values, natural forces appear to restore their tendency back toward a central value. Well, guess what? Gross Domestic Product series are non-stationary. A consequence of non-stationarity is that a collection of processes, like the Gross Domestic Products of several countries, tend to diverge from one another, even if they are correlated to some extent, which they are. In consequence, over time, some of these processes will climb to high levels, compared to the others, while some will decline, similarly. Such is the inevitability of the collection of processes. If you are thinking of Germany at the top, and Greece at the bottom, well, you are getting the idea. So, the question arises, “What to do about it?” The pattern we have seen is to wait for a crisis to develop, then apply a Draconian control, wherein little more is known about the effect of the control than about the reasons for the crisis in the first place. This is crazy. (I am not generally known for pulling my punches.) Consider flying an airplane (and I can, all you Yale graduates out there, for I possess a valid commercial pilot’s license,) where it would be total nonsence to let a passenger jet fly across the Atlantic Ocean, while only applying a control three or four times over the course of hours. Your plane would be in the Ocean off the end of the runway. The rule here is to apply small, continual incremental controls, whether initiated by the pilot, or by a computerized system, usually called an autopilot. Literally thousands, if by human pilot, or millions, if by autopilot, of such control adjustments occur during the course of a single flight across the Atlantic. A further feature of airplane control — and an important one — is that the nature of the control applications are known in advance. It the left wing dips from encountering a normal air current, then the control lifts the wing to restore level flight. When the cause is known, then so is the response. Now, shift your attention to the world of politics and economics, where I am certain you will agree, there is no shortage of flapping mouths telling us what to do. The difference in the financial scenario of the Euro crisis is that the markets do not know what will trigger a Draconian control response, nor do they know what the response will be. So, boys and girls, here is your simple solution. Recognize that the great majority of economic process are stochastic and non-stationary. Set forth a set of control responses known in advance to the markets, to all the typical causes of excesive divergence, and apply them continually, in small increments. Then the markets know what to expect in the political and economic environment, and the participants can consider their actions accordingly, all in the context of free markets. Do I expect any of this common sense to pervade the Euro markets anytime soon, the only span in which it will do any good? Well, no. Thus endeth the homily. Go in peace. This entry was posted in Blog, Euro debt crisis on 06.10.2011 by Paul Carlisle Kettler.